Award-winning author Pam Bernard announces the continuation of her popular memoir workshops, to begin the week of November 7, at her home in Walpole, NH. These late fall sessions will be six weeks, Mondays and Fridays, 1-4 PM. The regular eight-week winter sessions will begin the week of January 9th. With enough interest, a Saturday morning workshop will be added. As well as nurturing yet rigorous group critique, crucial issues of craft are explored in these workshops, such as narrative stance and tone, while fresh work is generated each week from prompts. Participants from New Hampshire, Vermont, and Massachusetts are bringing experience to the page by harnessing memory and imagination, and learning to shape their writing into compelling narratives as a way to explore and ultimately honor their lives. 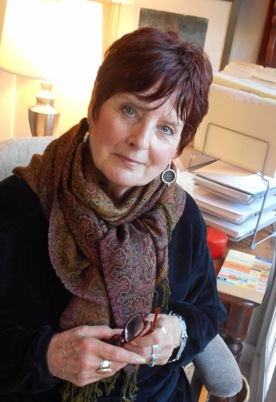 Pam Bernard is author of four books, the most of recent a verse novel titled Esther. She is also a painter, editor, and adjunct professor at Franklin Pierce University. She received her MFA in Creative Writing from Warren Wilson College and BA from Harvard University. Her awards include fellowships from the National Endowment for the Arts and the Massachusetts Cultural Council.